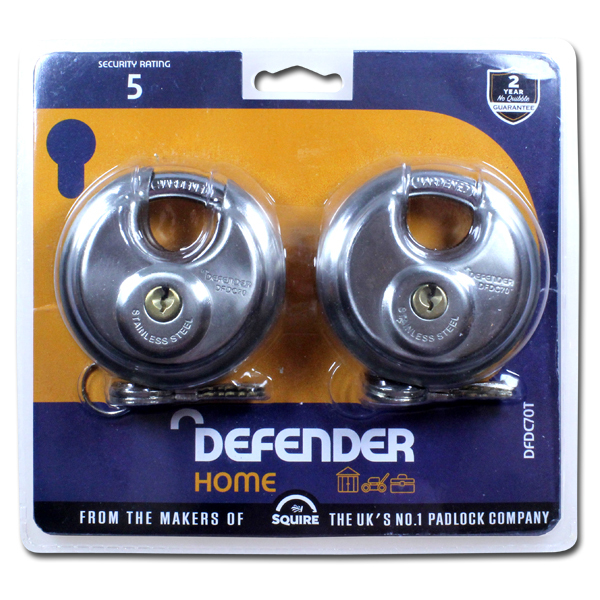 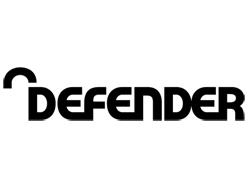 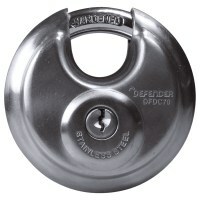 The Defender Round Discus Padlock features a deadbolt locking lever and an enclosed shackle, thus making it more resistant to attacks which enhances the lock's security. 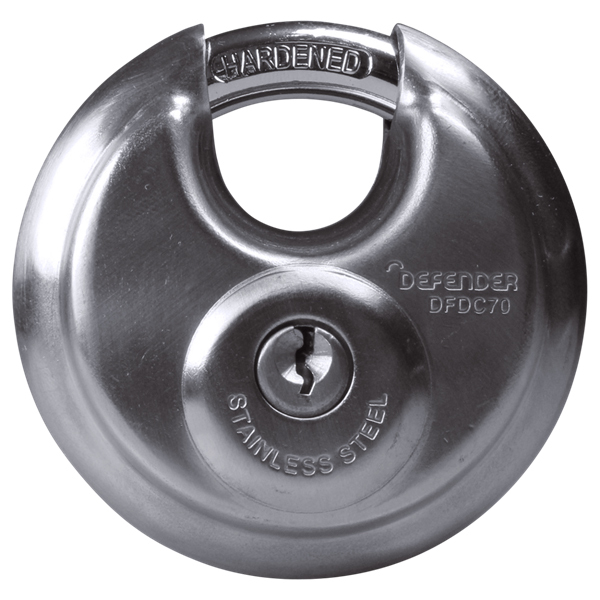 It is a heavy duty padlock making it ideal for outdoor applications, the product also comes supplied with two keys, which are keyed alike, and a two year manufacturer's guarantee. 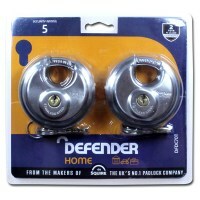 The keys can only be drawn from the padlock when it is locked, so as to discourage the keyholder leaving the keys in the lock.